SUNDAY, Sept. 24, 2017 (HealthDay News) -- As tick populations and the threats they pose increase across the United States, people need to know how to deal with them, a skin doctor suggests. Ticks can cause serious illnesses such as Lyme disease, Rocky Mountain spotted fever, Powassan virus and alpha-gal syndrome (a red meat allergy). 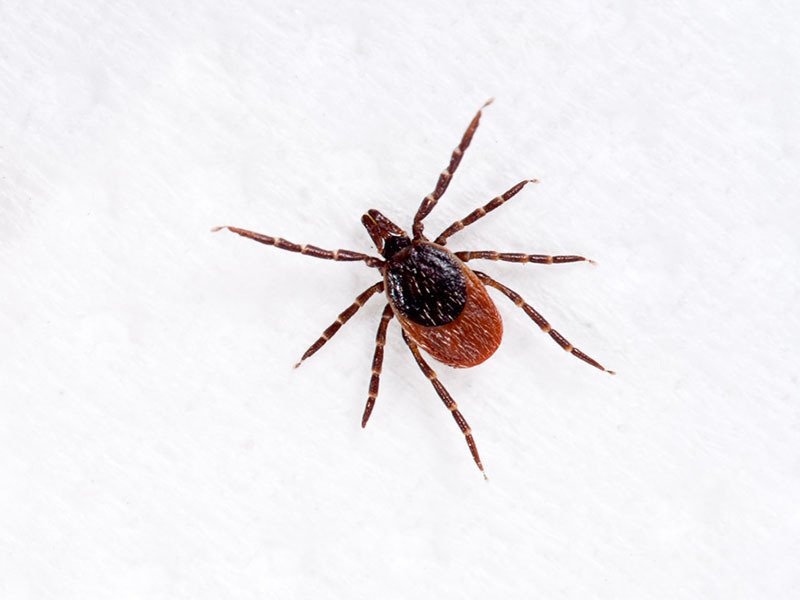 "Although most ticks do not carry disease, it's important to be mindful of these risks and keep an eye out while you're outdoors," Dr. Lindsay Strowd said in an American Academy of Dermatology news release. Strowd recommended doing a full-body check after you come inside from a wooded area. She also advised checking kids, pets and any gear you had with you. "If you notice a tick crawling on you or attached to your skin, remove it immediately to prevent any potential infection," Strowd advised. She's an assistant professor of dermatology at Wake Forest Baptist Medical Center in Winston-Salem, N.C.
Use tweezers to remove a tick that is attached to your skin. Sterilize the tip of the tweezers with rubbing alcohol and grasp the tick as close to the skin's surface as possible. Pull upward with steady, even pressure. Try not to twist, squeeze or crush the tick. Doing so can cause its head or mouth to break off and remain in your skin. If this occurs, use tweezers to remove the remaining parts. If you cannot remove the rest of the tick, seek medical help. Clean the bite area with soap and water, she said. To dispose of the tick, place it in a sealed bag or container, submerse it in alcohol, or wrap it tightly in tape. You may want to save the tick in a sealed jar, so that it can be tested for disease if you develop symptoms such as a rash, fever or body aches, Strowd said. To avoid tick bites, try to walk in the center of trails, she suggested. Strowd also said to use insect repellent that contains 20 percent to 30 percent DEET on exposed skin and clothing.